Today at CES 2018, Vivo finally unveiled its neweset and most innovative creation to date: a smartphone with an in-display fingerprint scanner. This technology delivers a totally different mobile experience, by allowing users to unlock their phones with one-touch fingerprint scanning directly on the phone’s display. It also opens up a lot of possibilities in design, as designers no longer need to worry about having to place a button up front just to house the fingerprint scannner. It frees up that space at the bottom of the phone for perhaps, more screen, and a more seamless look. It also paves the way for various usage scenarios that app developers can take advantage of, beyond unlocking the device. According to UBI research, phones with bezel-less displays will continue to grow in market share from 20% in 2017 to over 50% in 2020. Fingrprint recognition is one of the most common and popular ways of securing phones. And as the industry evolves into a new eara of displays, and design in general, it’s only natural that this technology also needs to evolve in order to cater and adapt to new user habits and demands for bigger displays without compromising the user experience. 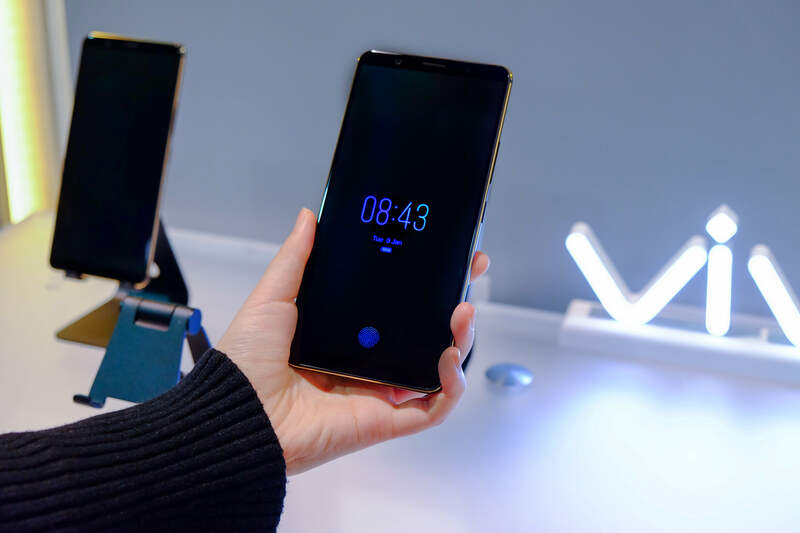 “With our efforts in extensive consumer research and long-term R&amp;D investment, Vivo is well positioned to pioneer the development of fingerprint scanning technology. We first presented a prototype of our fingerprint scanning solution at MWC Shanghai 2017 based on an ultrasonic sensor, and have remained committed to realizing our vision for future smartphones. 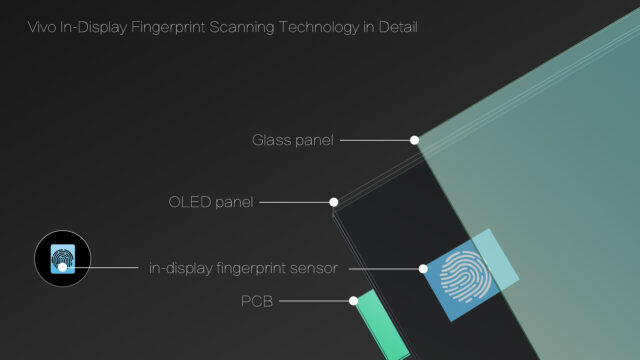 Today’s showcase of a ready-to-produce in-display fingerprint scanning smartphone featuring an optical fingerprint sensor is a big leap forward in bringing consumers this long-awaited, futuristic mobile experience. 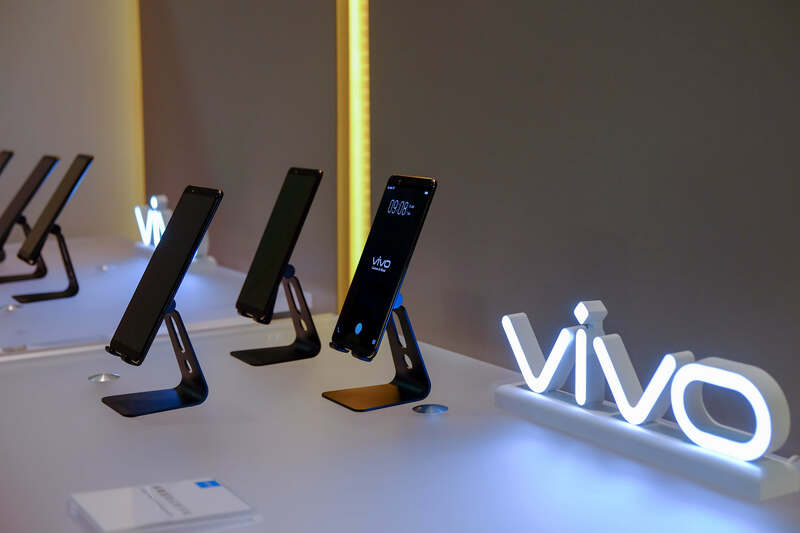 We are very excited to make it available to consumers soon.” – Alex Feng, Senior Vice President of Vivo. As to when this phone will become available in the market, that will be announced in early 2018.